The football machine that started it all—The JUGS Football Machine™ throws perfect passes, punts and kickoffs to any precise spot on your field. The JUGS Football Machine™ throws perfect passes, punts and kickoffs to any precise spot on your field. Your players can practice catching perfect spirals or end-over-end "kicks" at any speed or distance you choose from 5 yards to 80 yards. 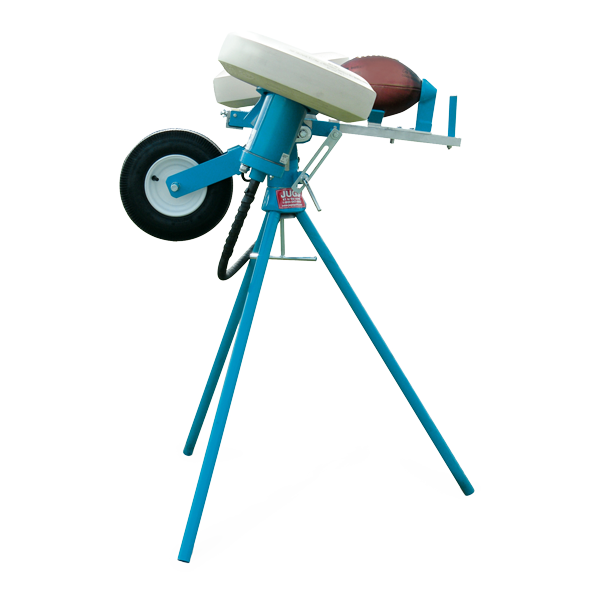 The JUGS Football Machine comes with its own transport wheel, making it easy to move to any spot on your practice field. The JUGS Football Machine™ throws 5-80 yard passes and swivels 360 degrees to accommodate passing drills in every direction. 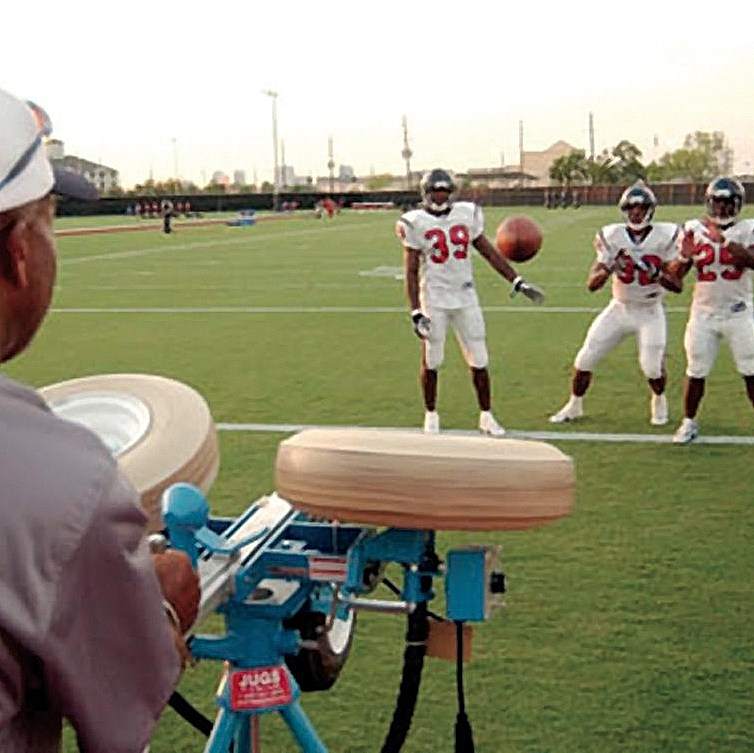 The JUGS Football Machine™ throws up to 600 passes or kicks per hour! Long-snapping, punting, and kick-offs—the JUGS Football Machine™ does it all. Quickly adjust speed settings using the dial. 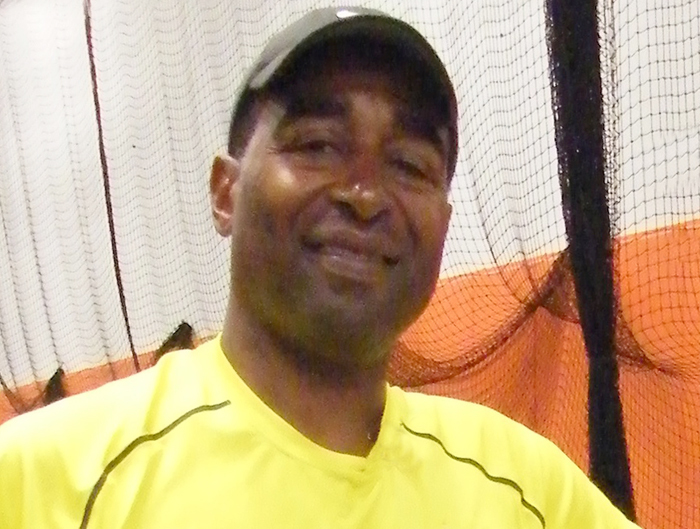 Running backs, tight ends, and wide receivers need constant practice catching the football. With JUGS, these players catch more passes in a week than they normally would in an entire season. Defensive backs and linebackers can be given practice on a variety of reaction and zone-coverage drills in a short period of time, without having to take your best quarterback away from where you really need him to be -- with the offensive unit. A substitute player, or even the team manager, can operate JUGS, thus freeing your coaching staff, quarterbacks and punters. On punt and kickoff-return team drills you do not waste any time with JUGS doing the "kicking." High-lofting end-over-end "kicks" go exactly where you want them to--so your players learn their assignments quickly. 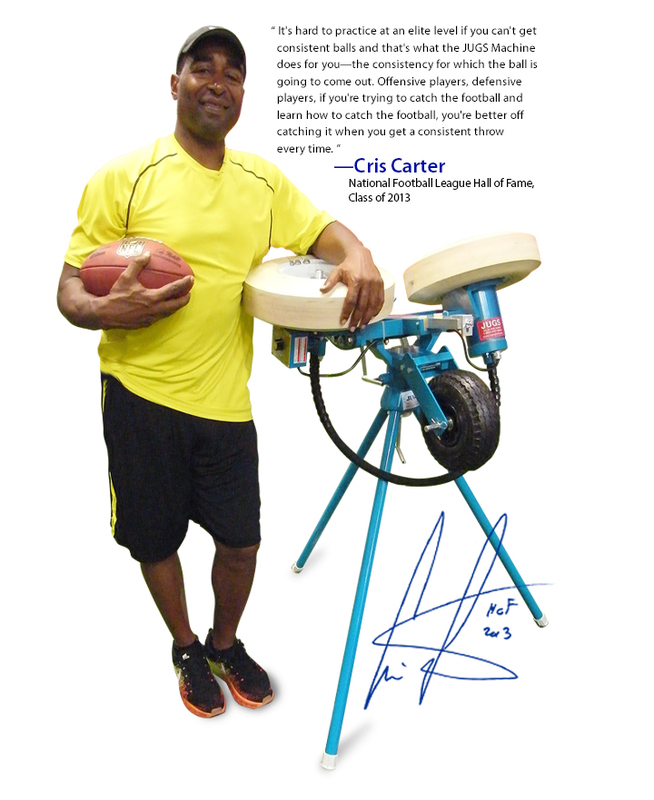 I believe that the JUGS Machine is the best tool to help you catching the football. I believe it made a difference in my Hall of Fame career, and that's why I give a lot of my success to JUGS Machines. Trusted and used by the very best at every level of football. Don’t just take our word for it, hear from Hall of Famers and Super Bowl Champions, from Pop Warner leagues to the NFL.